The Insurance Alliance of Michigan estimates that about one out of 10 no-fault insurance claims in the state is fraudulent – a problem that is contributing to the region’s rising auto insurance costs. Dyck Van Koevering, the general counsel of the Alliance, said that while there have been no recent studies on the total amount of auto insurance-related fraud in the state, the group believes that no-fault fraud is costing Michigan residents hundreds of thousands of dollars a year in additional premiums. Michigan is the only state in the nation that requires drivers to purchase potentially unlimited medical benefits with their insurance. However, the state also lacks a statewide auto insurance fraud authority. 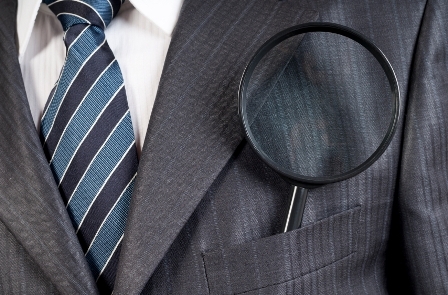 This means insurers have to take matters into their own hands – with the help of a little detective work. To root out fraud, insurers could send investigators to determine whether or not an insurance claimant is telling the truth. Some insurance companies maintain their own in-house investigators, but others turn to private investigators, who could charge between $60 and $100 an hour for their services, Detroit Free Press reported. When an individual is caught in a potential no-fault fraud in the state, the insurers could attempt to deny the individual their benefits or compel them into a settlement. Alternatively, insurance companies can also refer cases to local prosecutors; insurance fraud is a felony in Michigan, punishable by up to four years in prison and a $50,000 fine. “Our job is not to catch them. It is to document the truth,” he maintained. Charow believes that while investigation work may come off as a tad aggressive, his work could help deter swindles and take the state one step closer towards being fraud-free.